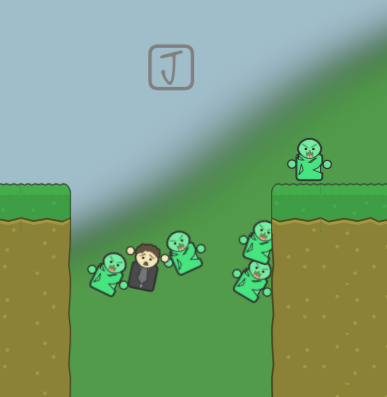 Play as a morally ambiguous bridge controller in a world where humans flee from an oncoming horde of zombies. It's your responsibility to make sure the bridge stays up for humans and down for zombies. Unfortunately it's never as straightforward as it sounds and casualties are inevitable. Among the chaos you'll find nearly twenty types of humans, including six rare characters and 12 items that will drastically change the game as you play. Operating the bridges effectively takes coordination, multi-tasking and quick thinking. The game also can also be played by two players, each controlling and watching one bridge.